With the holidays at an end and the temperatures staying icy cold, maybe you’re looking around and thinking that it’s time for a change. Searching for and buying a home is a huge task at any time of the year. However, house hunting in winter offers some unique challenges, but also a few major benefits to the process. So where do you begin the winter home-buying process? 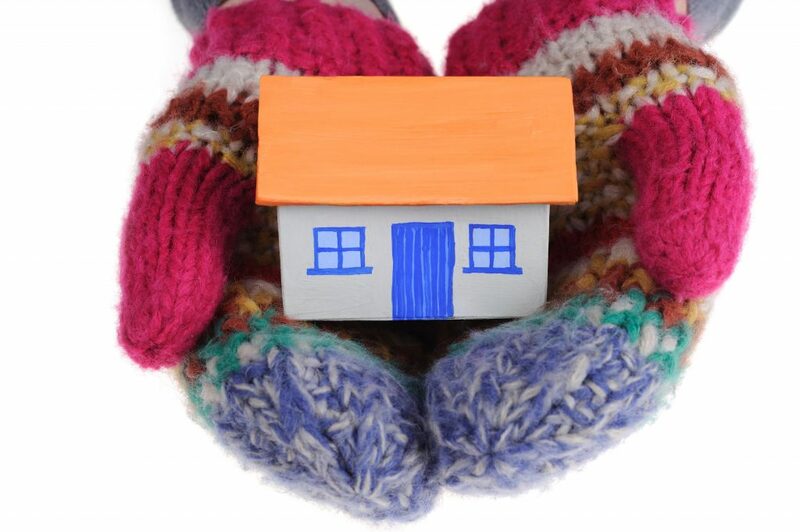 Why should I house hunt in the winter? The winter months are generally a less-busy season for house hunting and buying. This can work in your favor as you search for your new home. Though there is often a smaller selection of homes on the market during this time, there is also less competition among buyers. Once you find the home of your dreams, it’s less likely that there will be other offers on the home. Because of this, you can more easily avoid squabbling over a property with another buyer, or having to walk away from a home you love altogether. Because the demand for homes is lower in the winter, the general price range for homes is often lower as well. Avoiding peak season can be in your best interest when it comes to price. You could snag a great deal on a home that could potentially increase in price as spring and summer arrive. Due to the lower amount of sales during this time, the entire process of buying your home can move more quickly. During the summer months, finding a closing on a home can move slower, simply because there are more workers and sellers on the market. So if there’s less competition, should I use a realtor? Yes! 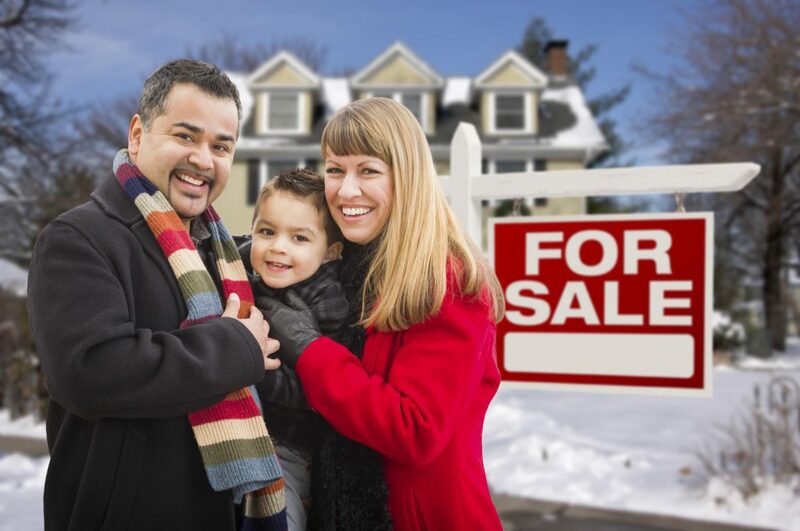 Winter is a great time to take advantage of all that a realtor has to offer. Since it is a slower season for the housing market overall, it is more likely that you’ll have the undivided attention of your realtor, which can make the process less stressful and flow more smoothly. Realtors bring a lot of knowledge and experience to the table and can keep you sane during the home-buying process. Because of their experience, they often know about the surrounding neighborhoods, information on the current market, a general range of fair home prices, etc., all of which will help you during your search. One of the most important jobs of a realtor is that they handle communication between you and the seller. They know how to navigate tricky conversations, like price negotiations, and will serve as an advocate for you. Realtors can also ease your worries by answering any questions you may have about multiple properties, timing, and prices. They can help you keep track of the places that you are considering, and can make the process as seamless as possible. Their job is to assist you in this time of transition, so let them take some stress off your shoulders! At Crager Tobin Realty, we have a significant number of accomplished realtors available to help you this winter. Give us a call at 614-879-6700 for more information. Buying a house in the winter sounds too good to be true, so what are the cons? There are a lot of benefits to house hunting in the winter, but winter weather does make the process a little more difficult. For example, snowy or icy weather can make inspections of the property nearly impossible to complete. An icy roof is not ideal for a home inspector. Be sure to keep your eyes on the weather and schedule your home inspections accordingly. As mentioned before, winter is a lower season for buying and selling houses. Though this means less competition among buyers (big pro! ), it can also mean a smaller selection of houses in total. Fewer homeowners list their houses for sale in the winter, so it can be tougher to find multiple options that fit your wants and needs as a buyer. Winter can also make homes look darker and drearier than they are during brighter months. This isn’t exactly a con, but remember to use your imagination when looking at homes this winter. Imagine what the house will look like in other months, with bright spring light pouring through the windows and beautiful, green landscaping. If you’re concerned, ask the current owner about the look of the house in other months, or ask to see pictures. Doing this can thwart any apprehensions you may have about the overall sense of the home. Searching for a home can be stressful, especially when the winter season brings its own set of pros and cons. Let our team of skilled realtors at Crager Tobin Realty help you through the process this winter. Contact us at 614-879-6700 for more information.